Clara Irene Olund was born in a log house on a farm 6 miles Southwest of Grace, Idaho on March 31st, 1913 to Fred E. Olund and Klara Kraus. At the time of her birth, Mom told us that Grandpa drove a team of horses and buggy several miles to retrieve Dr. Hubbard, on a night so dark, "you couldn't see your hand in front of your face". She said Grandpa had said that he would bet that was the fastest ride the doctor had ever had. Grandpa Olund had immigrated to the United States from Sweden and Grandma Olund was of German descent. When Mom was about 3 years of age, Grandpa and Grandma divorced. She and Grandma went to Salt Lake City where Grandma's mother lived. Grandpa later went to Salt Lake City to persuade Grandma to return but she refused. Grandpa Olund said if Grandma would not return then he at least wanted his little girl to return with him. He said he could not bear to live without either of them. Grandma allowed Grandpa to take Mom back to Idaho. Grandpa tried unsuccessfully, to farm in Southern Idaho. He would sit little Irene on a blanket, in the middle of a field, and plow around her with his team of horses. Realizing, that this was not working out, Grandpa arranged for some neighbors to care for her while he worked in the mines in Wyoming. Mom seldom saw her father and she never saw her mother. Grandpa would stay in touch by writing to her and sending her gifts at Christmas and special times. It was a very lonely life for Mom as a little girl and she felt sorry for herself, and rightfully so. She said she cried often, but received no sympathy from her caretakers, who showed obvious favoritism for their children and against her. Their children would often tease her and play mean tricks on her. Mom attended grammar school in a two room school house located just across the street from where she lived. There were four grades in each room. She attended primary in the same building which she enjoyed tremendously. The LDS Church was located in town, which was some distance to travel by horse and buggy, and she was therefore unable to attend. A few times Grandpa came home and they went to Salt Lake City. Mom said they first traveled by stagecoach, pulled by horses, to a town called Alexander, where they boarded the train. It was a lot of fun traveling on the train and Mom especially enjoyed being with her Dad. When she was in the 7th grade, Mom and Grandpa moved to Park City, Utah. They stayed with Grandpa's brother and his wife while Grandpa worked in the mines. Mom attended most of the 7th grade there before returning to Grace, Idaho, in the spring to finish out the year. Mom graduated from the 8th grade at Grace, Idaho in May of 1928. Mom met her husband and our father that summer. John T. Harwood was running a farm, below where she lived, with the assistance of his father and brother. Daddy would come past where she lived every morning and night. He had a Model "A" Ford and Mom said you could hear that thing coming a couple miles away, it was so noisy. Dad and Mom were married the next summer, June 12 1929. After Mom and Dad were married, Daddy took her to Salt Lake City to see her Mother. Mom was 16 at the time and hadn't seen her mother since she was 3 years old. They were reacquainted and became close through the years with writing letters and some visits. Mom had 8 children altogether, 7 boys and 1 girl; but due to complications she lost her first and last sons at birth. In 1935 she had Darwin, Farrell in 1937, Eldon in 1939, Neal 1941, Karen 1944, and Dennis in 1949. Dad and Mom moved from Grace to Pocatello in the fall of 1954. Daddy worked on the railroad and farmed in the summer. He passed away in August 1965 while at work. Nathan passed away June 13, 1997 . Morn's children decided it would be best for her to move to Idaho Falls next to Neal. Neal and Olive both worked full time and spent countless hours seeing that Mom's needs were met. I also brought meals to her, did shopping, and ran errands for her to help out. Mom lived next door to Neal and Olive for eleven years. Mom had several sayings that she used to describe people, her feelings, or situations. While growing up, us kids never thought anything of those sayings, but now, thinking back, they were actually quite comical. She would refer to someone she didn't particularly care for as a yae-who, or a Crazy Galoot. If a person went somewhere she didn't think they should have gone, they were Off Galavantin' Around. surprising she still had a liver. If Mom was alarmed by something, she would usually say Judast Priest!, My Crimony/or Crim-a-nently. Now the terms didn't have to make sense and no one knew what they meant, but they seemed fitting at the time. In 2004 Mom started having a hard time getting around, so Neal and I hired Jackie Bray to come in five hours a day on week days to care for her Jackie prepared meals, helped Mom with her special needs, performed light housekeeping, helped Mom with exercising, and provided company and interaction for Mom. Under these circumstances Mom did pretty well until this last fall and she really started going down hill. Mom had never wanted to go into an assisted living facility, but when she reached the point where she could no longer care for herself when someone else wasn't there, it became obvious to her that she needed extra care. Mom moved Into the Parkwood Meadows. Once she spent a few days at the assisted living facility, she really seemed to enjoy it and told us of the Old Time Fiddlers and other things she was able to do. She was only at the facility for a few weeks before she passed away. Mom had 28 grandchildren and 35 great grandchildren. I received a poem just last week from a friend and I loved it so much I decided I wanted to read it at Mom's funeral someday. Little did I know it would only be a week until I had the opportunity to do so. F or that dash represents all the time That she spent alive on earth. Are there things you would like to change? For you never know how much time is left, That can still be rearranged. And show appreciation more And love the people in our lives Like we've never loved before. So when your eulogy is being read With your life's actions to rehash. I’m proud of how our Mother spent her dash. She worked hard all her life and always made sure, even though we didn't have much money; her children were cared for and loved with that love only a mother can give. Having been raised by her father and different care givers, she didn't have a mother's love when she was a young child. She didn't have a roll model, other than our Grandma Harwood after she was married to our father at the young age of 16. Yet, she was a loving, caring, woman, who, without any education to speak ot: saw that her children excelled to the best of their abilities; treated other people with respect; and lived an honorable life. Her achievements were not noticed by the world, but were certainly noticed and appreciated by her children. Everyone who met her and knew her, knew her as a sweet, kind, loving person. We're all proud to have known her and proud of how she spent her dash. And we, her children, are proud that she was our Mother. Mom was preceded in death by our brother Farrell, her grandson Steven, and great-grandson Ayden, her sisters Leah Greenburg and Arlene Craig, and by her brothers Carl and Oral Molyneux. 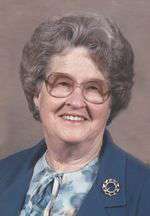 Clara Irene Hale, 94, of Idaho Falls, Idaho, died Sunday, February 24, 2008, at Parkwood Meadows Assisted Living Center. 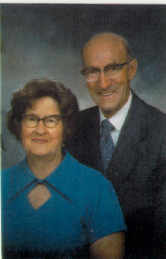 She was born March 31, 1913, in Grace, Idaho, to Fred E. Olund and Clara Kraus Olund. She was raised in Grace by her father after her parents divorced. On June 12, 1929, she married John T. Harwood in Soda Springs, Idaho. He died Aug. 18, 1965. On Jan. 23, 1969, she married Nathan Hale. He died June 13, 1997. She was a homemaker, and worked for the State Hospital South in Blackfoot from 1964-1970. She was a member of the Church of Jesus Christ of Latter-day Saints where she served in the Primary organization and as a visiting teacher. She served two missions -one to the Canada Vancouver Mission in 1975 and the other in 1978 to the Albuquerque New Mexico Mission. In her younger years, she enjoyed crocheting and painting pillowslips, scarves, and table cloths. She is survived by 4 sons; Darwin J. (Hannelore) Harwood of Walnut Creek, California; Eldon R. (Rosemary) Harwood of Clayton, California; Neal T. (Olive) Harwood of Idaho Falls; Dennis L. (Linda) Harwood of Eagle River, Alaska; one daughter, Karen A. (Dayle) Daniel of Idaho Falls; 28 grandchildren and 35 great-grandchildren. She was preceded in death by both husbands, a son, Farrell D. Harwood; a grandson, Steven Harwood; and a great-grandson, Ayden Tuley. Funeral services will be at 11:00 a.m. Friday, February 29, 2008, at the St. Leon First Ward, 6925 N. 15 E., Idaho Falls with Bishop Robert Kite officiating. The family will visit with friends one hour prior to the services at the church. Burial will be in the Grace Cemetery. Funeral arrangements are under the direction of Coltrin Mortuary, 2100 First St., Idaho Falls.